Sunday, August 26, 2018 We invite you to join us for our Annual Tent Event Fundraiser for Cystic Fibrosis! 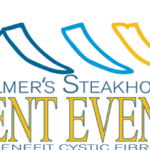 The event takes place outside of Palmer's on E.
We invite you to join us for our Annual Tent Event Fundraiser for Cystic Fibrosis! The event takes place outside of Palmer’s on E. Capitol Drive. Tickets are $30 in advance or $40 at the event. Enjoy Live Music and Dancing! There are also games, raffles, and silent auctions and the night will conclude with our spectacular live auction at 5pm! For more information & to purchase tickets, visit Palmer’s website.